In the early 1960s, Şevket Uğurluer was among the first Turkish musicians to mix traditional music with Jazz. Today Uğurluer is mostly known for his faithful renditions of US-Pop hits, most of whom have been re-released on CD. Not this one. When recording the spiritual Josua Fit The Battle Of Jericho, Uğurluer didn´t seem to have taken the lyrics too seriously. But who cares about some slurred lines, when he and his gang play the song at such breakneck speed. 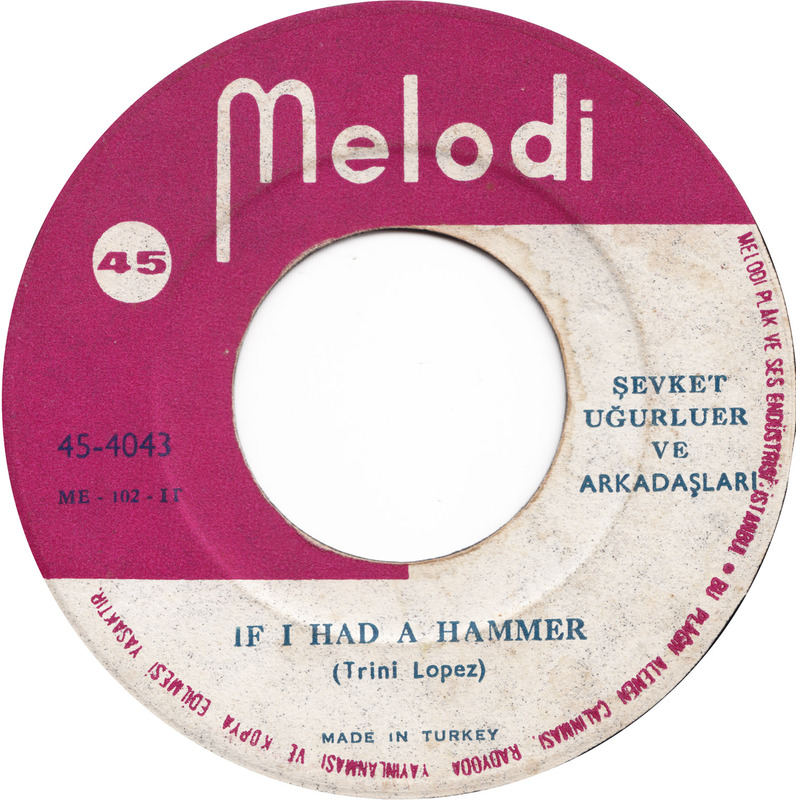 The Pete Seeger penned protest-song If I Had A Hammer was a hit for Trini Lopez in 1963. 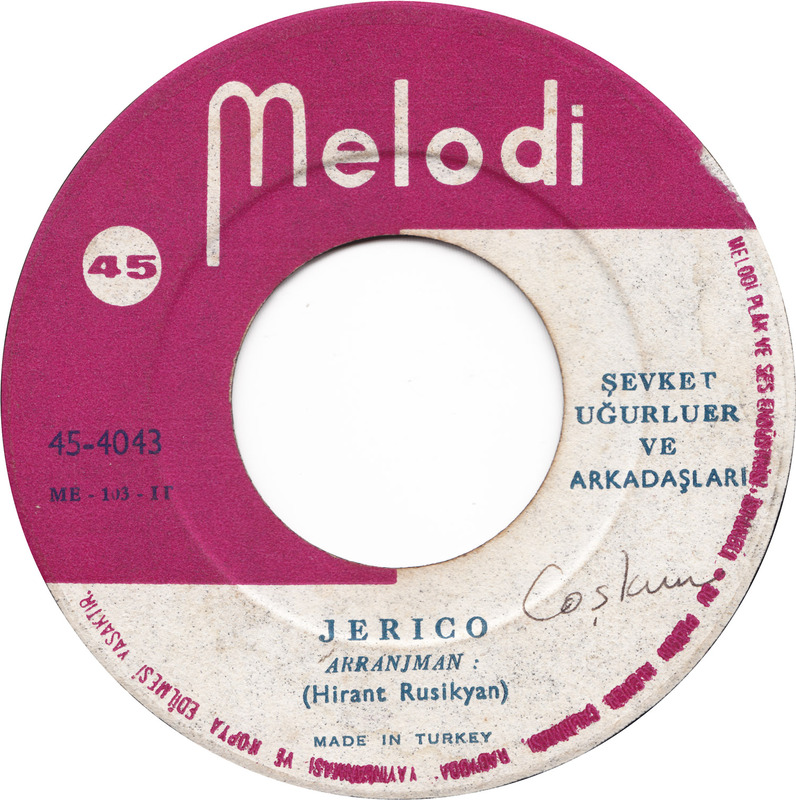 Sevket Uğurluer´s version is wrongly credited to Trini Lopez on the label, but it´s pretty close to the hit. Except that, here Animal from the Muppet Show is on drums…. great (and rare) tunes buddy. Will be featured (who knows when) on my next Turkey comp. stay cool olle Eule!